Giving a new translation and interpretation of the basic works of Vasubandhu the Yogacarin, the author shows that Yogacara metaphysics is basically the same as that of the early Buddhism. He contends that the Yogacara writings are open to interpretation in terms of realistic pluralism, and thus challenges their traditional interpretation in terms of idealistic monism. His translation is faithful to the original, arguments convincing and consistent, and presentation clear and readable. The texts translated and interpreted are (i) Madhyanta-vibhaga-karika-bhasya, (ii) Trisvabhava-nirdesa, (iii) Trimsatika and (iv) Vimsatika. DR.THOMAS A.KOCHUMUTTOM holds a Bachelor's degree in Theology from the Gregorian University, Rome, a Master's degree in Philosophy from the University of Pune, India, and a doctorate in Buddhism from the University of Lancaster, U.K. He is presently teaching Philosophy and Comparative Religion at the Dharmaram Pontifical Institute, Bangalore, and is the Director of the Centre for the Study of World Religions of the same Institute. He has published quite a few articles in Comparative Religion. The name Vasubandhu has been associated generally with two significant events in the history of Buddhism: the composition of Abhidharma-kosa on the one hand, and the founding of the Yogacara system on the other. More precisely, Vasubandhu is known as the author of Abhidharma-kosa, and also as the one who co-founded the Yogacara system with his brother Asanga. As these two events-the composition of Abhidharma-kosa and the founding of the Yogacara system—represent two different traditions within Buddhism, one begins to wonder if` Vasubandhu the author of Abhidharma-kosa and Vasubandhu the co-founder of the Yogacara system really are one and the same person. The traditional answer to this question has been that Vasubandhu the author of Abhidharma-kosa was later converted by his brother Asanga to the latter’s Yogacara line of thinking. That could very well be the case. But when it comes to deciding how to date Vasubandhu, the problem seems to reappear with a greater complexity. This is because the tradition gives as many as three dates for Vasubandhu: the year ll00 after the nirvana of the Buddha given in The LW cy' Vasubandhu by the historian Paramartha, the Year 900 after the nirvana of the Buddha given in the commentary of Madhyanta-vibhaga by the same historian and the year 1000 after the nirvana of the Buddha given by the Chinese pilgrim Hsuan-tsang. Based on the very few historical clues available from various sources, and taking into account the different ways of reckoning the year of the nirvana of the Buddha, many scholars have tried to reconcile these three dates, and to arrive at a probable, if not definite, date for Vasubandhu. The dates so proposed range roughly from the early third century A.D. to the early sixth century A.D. None of them, however, has been universally accepted, although many of the opinions would agree on the fifth century as an approximate period for the life and works of Vasubandhu. Then in 1951 Professor E. Frauwallner proposed his new theory of ‘two Vasubandhus’ as a way out of the three conflicting dates mentioned above z the years 900, 1000, and 1100 after the nirvana of the Buddha.? His basic assumption is that the two dates given by Paramartha, namely the years 900 and 1100 after the nirvana of the Buddha, refer to two different persons, namely Vasubandhu the elder and Vasubandhu the younger respectively. He then argues that the date given by the Chinese pilgrim Hsuan—tsang, namely the year 1000 after the nirvana of the Buddha, is the same as the year 1100 after the nirvana of the Buddha given by Paramartha, only they are arrived at by different ways of reckoning the date of the nirvana of the Buddha. Thus, for Professor Frauwallner, the traditionally given three dates can be reduced to two, namely 900 and 1000/1100 after the nirvana of the Buddha, and these two dates, he further said, correspond respectively to a time prior to 400 A.D. and the period 400-500 A.D. His final conclusion, there fore, is that there have been two Vasubandhus, of whom the elder who lived prior to 400 A.D., co-founded the Yogacara system with his brother Asanga, and the younger who lived between 400--500 A.D., wrote Abhidharma-kosa. The above theory of ‘two Vasubandhus’, possible as it is, does not seem to have received much support from scholars. On the contrary, P. S. Jaini, for one, on the evidence of the manuscript of Abhidharma-dipa (together with a commentary- the Vibhd,r¢2-prab/zrimjtti), discovered in 1937, "throws some doubt on Professor Frauwa1lner’s thesis and confirms the older and universal tradition about the conversion of the Kosakara Vasubandhu to 1VIahayana,"3 Some of the recent studies, notably those by Stefan Anacker and D.N.G. Macleod, also see little point in Frauwallner’s theory of ‘two Vasubandhus’. What is more, the latter himself is suggested to have later given up this theory. 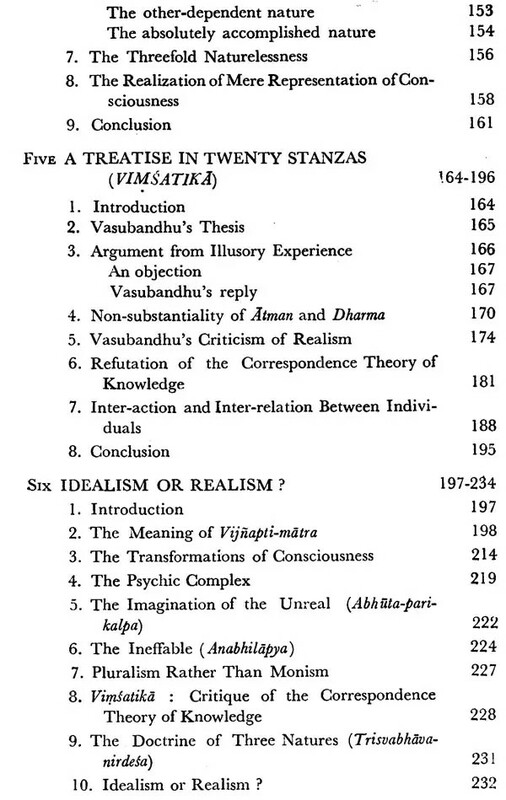 As far as the present work is concerned, as it is strictly a textual analysis, the questions of Vasubandhu’s date and other biographical details are of little importance. I may, however, point out by way of a suggestion that an almost spontaneous transition from Abhidharma-kosa to the Yogacara system is not altogether unwarranted. For instance, the theory of store consciousness (alaya-vijnana) which is universally recognized as a basic innovation by the Yogacarins, is after all only the "christening" of the theory of the seeds (bija) in the Abhidharma-kosa. This latter theory has been given there in answer to questions such as: how are defilements associated with a previous moment of consciousness carried over to the next moment of consciousness? How does a past deed produce its effect in the future? How is it possible that a past experience can be recalled in the future? In answering these questions, all of which concern the continuity between the past, present and future, Vasubandhu the author of Abhidharma-kosa, following the Sautrantika point of view, drew on the imagery of the seed- fruit relationship, and said that the present and future are determined by the seeds left behind by the past : the seeds of the defilements associated with a previous moment of consciousness are carried over to the next moment of consciousness; the seeds of the past deeds produce their fruits in the future; and the seeds of the past experiences enable one to recall those experiences.7 Then what the Yogacarins later called alaya-vijnana, is for all practical purposes just the collection of those seeds of the past determining the present and future behaviour of an individual. In other words, the alaya-vijnana of the Yogacarins is in effect only a collective name for what was described in the Abhidharma-kosa as the seeds (bijas) of past experience. If so, it is not impossible that the author of Abhidharma-kosa himself worked out, on his own or in collaboration with others, the theory of alaya-vijnana and other allied theories of the Yogacara system. This sounds still more plausible when one considers that already in writing his commentary on his own Abhidharma-kosa he had shown his openness to new doctrines and formulations: although he wrote Abhidharma-kosa from the Vaibhasika point of view, later finding the Vaibhasika position unacceptable he wrote his commentary (bhasya) on the same Abhidharma-kosa from the Sautrantika point of view. A possible conversion of the author of Abhidharma-kosa to the Yogacara line of thinking is further confirmed by the above mentioned manuscripts of Abhidharma-dipa and the Vibhasa-prabhavrtti, which, as P. S. jaini has pointed out, cirticize the author of Abhidharma-kosa for his leanings towards the Sautrantika and Mahayana positions, and thus ‘allude to the conversion of the kosakara to Mahayana Buddhism’. So much, very briefly, for the personal identity of Vasubandhu. 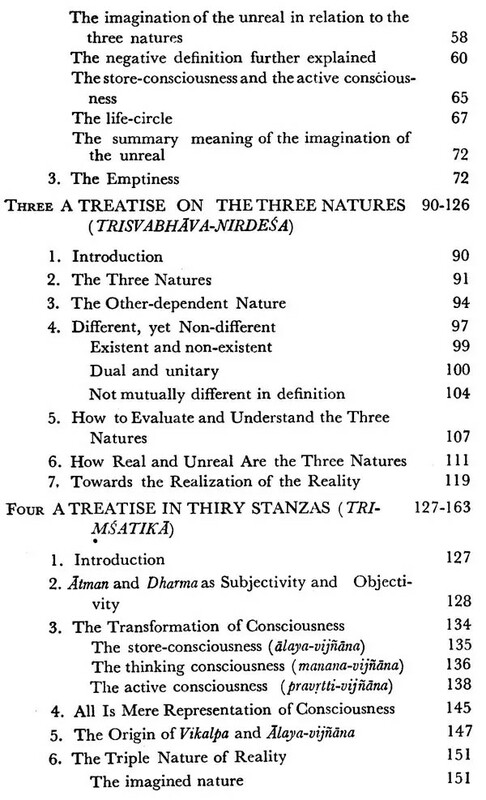 Now, coming to the scope of the present study, it proposes to analyse the following four texts: (i) Madhyanta—vibhaga-karika-bhasya, (ii) Trisvabhava-nirdesa, (iii) Trimsatika and (iv) Vimsatika. These four texts are definitely among the basic works in the Yogacara tradition, and are generally attributed to Vasubandhu. Whether this Vasubandhu was himself the author of Abhidharma-kosa or not, is no concern of mine here. What is important for the present purpose is the fact that these four texts do have, besides a fairly uniform style of language, a single, consistent, underlying system of thought so that one can safely take them as belonging to a single author, who is traditionally called Vasubandhu. To avoid confusion one may call him Vasubandhu the Yogacarin. Moreover, when I refer to the Yogacara system, I am thinking of it particularly as it is presented in those four texts, which may or may not correspond to the Yogacara system as it is presented in the other works of the same school. However, considering the very high degree of systematization and comprehensiveness of those texts, one may reasonably take them as representing the orthodox form of the Yogacara system. What is significant about this particular set of texts is that it gives a complete picture of the Yogacara system. The present work consists mainly of a new translation and interpretation of the texts under reference. I have taken the utmost care to make the translation literal and uniform through- out. However, I am aware that there are some minor instances where I had to give up this rule of ‘literalism’ and uniformity, either for the sake of clarity or convenience. For example, the Sanskrit terms akara, prakara and bhava have all been translated by the single English term ‘form’ ; similarly the single Sanskrit term abhava has been translated differently as ‘unreality’ and ‘non—existence’. But for these and similar minor instances, I have all through this work insisted on the rule of ‘literalism’ and uniformity, at the same time, however, trying to avoid clumsy or far-fetched English expressions and constructions. I hope to have succeeded in this attempt at least as far as the key terms and concepts are concerned. To help the reader I have always made a point of reproducing the original texts in transliteration, by way of footnotes, on the same pages as their translation occurs, even when it meant repeating some of the previous notes. Again, I have spared no efforts in giving the corresponding English or Sanskrit expressions, as the case may be, within brackets in the body of the work. All these devices are expected to help the reader locate the original passage or expression with the minimum possible effort. Futher, for a continuous reading of the texts, I have added an appendix giving the complete translation of them at a stretch, at the same time referring back to the pages where the respective passages are interpreted and explained. Incidentally, my translation, new as it is, is not the first for those texts. They have already been translated by others, and there exists at least one translation for each text. However, for one reason or another, my translation happens to be almost altogether different from those done previously. For one thing, I have been trying to look at those texts from a different perspective: the previous translators have looked at them from the point of view of monistic idealism, while I have looked at them from the point of view of realistic pluralism. This, I think, is enough justification, too, for my new translation. As for the interpretation of the texts, as I have suggested above, it is an exploration into the possibility of looking at them from a perspective different from the traditionally accepted one. It has been the belief that the Yogacarins had broken away from the early Buddhist schools by replacing the latter’s realistic pluralism with a monistic idealism. In contrast to this traditional belief, my contention is that the Yogacara position need not be interpreted as a total rejection of the realistic pluralism of the early Buddhism. 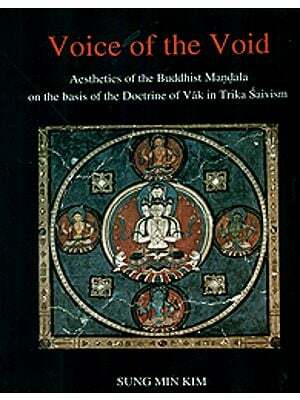 My conviction is that the Yogacara metaphysics is basically the same as that of the early Buddhism. The same old categories are retained but, classified under new terms and concepts. Such new terms and concepts under which the Yoga- carins have classified the old categories are mainly: alaya-vijnana (store—consciousness), para-tantra-svabhava (other-dependent nature), parikalpita-svabhdva (imagined nature), parinispanna-sva- bhava (absolutely accomplished nature), anabhilapya (ineffable) abhuta-parikalpa (imagination of the unreal), and sunyata (emptiness), this latter term being one that was borrowed from the Madhyamikas, but reinterpreted. My thesis, however, is much more modest than it might sound. My ultimate aim is not so much to convince the reader that the Yogacara position is definitely realistic pluralism (although I have done my best to do so) , as to point out that there is a real possibility of interpreting the Yogacara writings, at least the ones I have analysed, in terms of realistic pluralism. It is an invitation to a re-evaluation of the traditional interpretation rather than a categorical rejection of it. All the same, in building up my arguments for a realistic pluralism in the Yogacara writings, I have generally used confident expressions and a rather assertive tone. This is because, on the one hand, for my part I am convinced of my arguments, and, on the other, because I felt that to present an argument against a widely accepted position a convincing style of language was necessary. 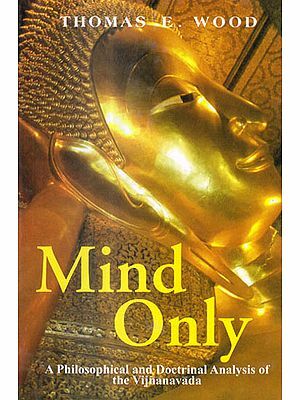 An important suggestion of the present thesis for an historian of religion is that Buddhism, throughout its long history of development, has ever retained the original inspiration of its founder, the Buddha. The latter believed in a multiplicity of real, individual, beings, a belief that has never been seriously questioned by any of his followers. The different stages in the history of Buddhism mark, if anything, the different ways of looking at the V same teaching of the Buddha. Consequently, the different schools within Buddhism distinguish from each other not so much in their philosophy as in their practices. If, for example, there has been a movement from the non-theistic Theravada school of Buddhism to the theistic Mahayana school of the same, it is a change only in the religious practices, and not a change in the philosophical convictions. Therefore, I fully endorse the words of Dr. Walpola Rahula, "The great Buddhist doctors like Nagarjuna, Asanga or Vasubandhu, as has been noted earlier, were not presenting a system of their own which could be called Nagarjuna’s or Asanga’s or Vasubandhu’s philosophy, but they were only explaining and interpreting anew, putting the old teaching found in the Canonical texts into new garb." One thing remarkable about the entire history of the Buddhist thought is that, at none of its stages, is any concept or term belonging to the former stages totally denied. The arrival of a new school is signalized almost always by the introduction of some new concepts and terms rather than by the denial of the old ones. The new concepts and terms are thus introduced as if they were the missing links in the original Buddhism, and, therefore, under the pretext of, or with the intention of, making explicit what was already implicit in it. The genius of each school then consists in fitting the new concepts and terms into the original scheme of thought by reinterpreting or readjusting it. As for the procedure of my work, the first chapter is a general introduction to my line of interpretation of the texts. This is presented by way of stating my thesis and outlining the arguments for it in rather general terms. This chapter is intended to put the whole work into perspective.